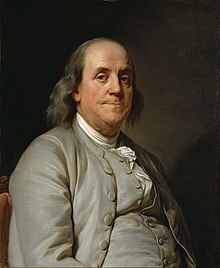 "Franklin, Benjamin," in Alumni Oxonienses: the Members of the University of Oxford, 1715-1886, by Joseph Foster, London: Parker and Co. (1888–1892) in 4 vols. Carl Schurz, Lecture on Benjamin Franklin, 1884. This page was last edited on 24 January 2019, at 08:06.